Looking for a way to get to a camp or Activity? In 2017 the District took ownership of two 14-seater Minibuses to enable more young people from Mersey Weaver to experience more adventurous activities and nights away experiences previously too far away or difficult to travel to. The buses are perfect for transporting young people and their kit and comes with long wheelbase, medium roof height configuration, roof cage and tow bar. 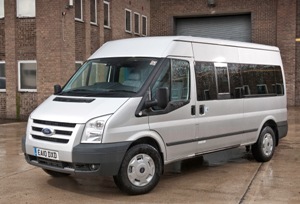 Need the Minibus for an evening or just part of a day? Book here! Looking for a way to get to an Activity? In 2017 the District took ownership of two 14-seater Minibuses to enable more young people from Mersey Weaver to experience more adventurous activities and nights away experiences previously too far away or difficult to travel to. The buses are perfect for transporting young people and their kit and comes with long wheelbase, medium roof height configuration, roof cage and tow bar. Need the minibus for a full day or longer? Book Here!